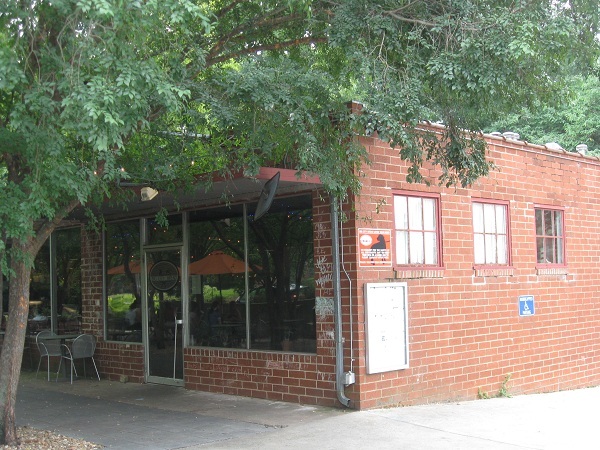 Big City Bread Cafe, Athens GA – Marie, Let's Eat! Now that I’ve got close to a hundred chapters of this story under my belt, I am making a more conscious effort to balance eating at old favorites with trying new places. Big City Bread Cafe is far from new – they seem to have opened their first storefront around the time my daughter was born – but they’re new to me. I try to get to Athens once a month, unless circumstances call me more frequently, and maybe I can continue having a small meal at someplace that I do not know well, before going to play and then grabbing a small meal at an old favorite before coming back to town. Or does that sound too much like I’m setting a schedule? That way lies complacency, doesn’t it? Anyway, so I never got around to eating at Big City. They were serving up fresh-baked bread for a little more than a year before I moved from Athens to Cobb County, and I wasn’t paying attention. There was probably a girl involved; I tend to overlook important things like really good bread whenever girls get involved. Did I ever mention 1999? It was something of an awful year. Anyway, the business found a home in an old industrial space on Finley Street and turned it into one of the most pleasant and inviting little hideaways to enjoy coffee (from local faves Jittery Joe’s), pastries and sandwiches in town. And the sandwiches are terrific! I wasn’t sure what to order, but I settled on the chicken salad once I remembered something I’d decided a few months back: you can get a better idea of how good the kitchen in a sandwich shop is by ordering chicken salad. 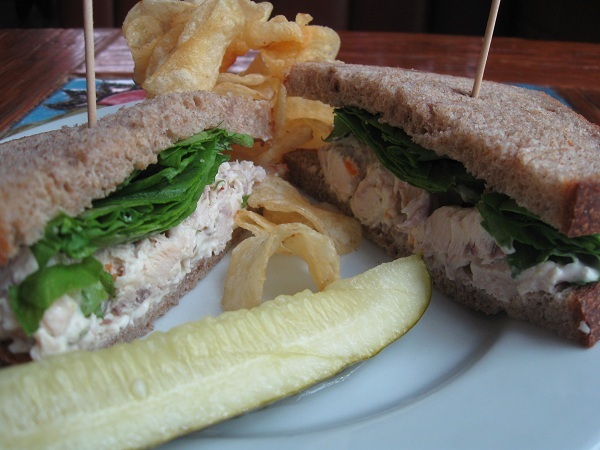 Any restaurant worth a flip can order the best deli meats and leave it to teens to assemble; it takes a little more work to make good chicken, tuna, egg or shrimp salad, and I’m glad to say that Big City’s chicken salad is tremendously good. It tastes extremely fresh and, served with spinach and blue cheese on an excellent walnut wheat bread, has left me scratching my head wondering whether I’ve ever had a better chicken salad sandwich. Unfortunately, it’s a very expensive chicken salad sandwich. I think the only complaint I have about this fine place is that you have to pay extra for a bag of chips, and a sandwich with chips and a drink will run you eleven bucks. I really wish they could get the price down a little. The food is exceptional, and I love the building and its charming shaded patio, but after a few hours playing downtown and bagging comic books, I swung by the Taco Stand before coming home, where I could have absolutely stuffed myself for half the cost of a much smaller meal at Big City Bread. They do offer the standard half-sandwich and soup bowl that you can find at a lot of places. They’re said to have an amazing tomato, scallion and goat cheese soup which I’d like to try. Maybe when I come back on a colder day, I’ll give that a try. Posted on August 26, 2010 August 29, 2017 by Grant G.Posted in athens, georgia, sandwichesTagged athens, georgia, normaltown, sandwiches.